Bitcoin has recently surpassed the value of Goldman Sachs Group Inc. and hovers above $100 billion. However, the wider public is yet to be introduced to Bitcoin and cryptocurrencies. 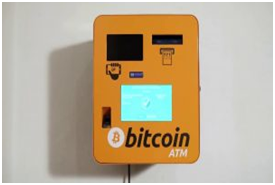 Even so, on October 2013, Bitcoin ATMs made their debut at the Bitcoiniac`s kiosk in one of Vancouver’s coffee shops. Today, just four years later, there’s more than 8 million Google search results for “Bitcoin ATM near me’’. Around 70% of the ATMs worldwide only support the depositing of fiat money into the wallet and buying bitcoins. These are called vending machines. There’s less legal scrutiny around them, that’s why they’re more popular. The other 30% are two-way ATMs. They have more KYC/AML requirements like ID or palm scanning. This helps preventing illegal traders (such as weapons’ dealers), cash in on their Bitcoin. Lamassu is in a rather weird spot: they market themselves as being the cheapest – however, their price for a two-way machine does not reflect that. 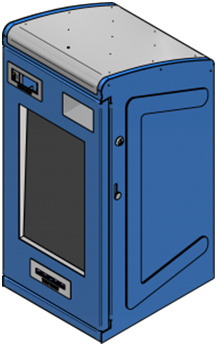 Our suggestion: if you already use a one-way Lamassu ATM, upgrading it is a good call. Otherwise, go for the alternatives. CoinSource seems to be the leading provider in the US – with 127 ATMs (104 one-way, 23 two-way). In 2017 alone they added 9 new locations, ranking them second in growth. Their buying fee is 8% and their selling fee is 4%. In Canada, there’s less variety. InstaCoin is the main provider of Bitcoin ATMs, with around 55 locations, and ranks 4th in terms of growth, with 7 new locations this year. However, they only have a few buy-sell ATMs and do not support other digital currencies. Unlike most Bitcoin ATM providers, InstaCoin calculates its fees in the same way traditional Forex exchanges do – they quote a selling price and a buying price and the spread in between makes up the fee. In terms of newly added machines in 2017, the Austrian provider Cointed topped the chart with 11 new locations. This reflects a significant growth of 64.7% and translates to 53 locations. What’s impressive about them is that they not only provide digital currency ATMs, but also manufacture them, have a digital exchange and offer mining services. 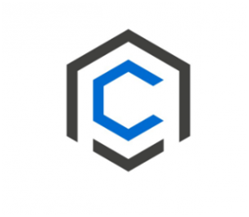 This makes them the only full-fletched service provider for obtaining and selling digital currencies. Also, their exchange business allows them to process transactions of all sizes. Other ATM providers can’t handle transactions in the ranges of tens of thousands of dollars or above. At the moment, probably your local pizza restaurant has not heard of Bitcoin. Yet, the popularity of digital currency is rising and it is getting more widely accepted. Using ATMs is certainly the most user-friendly way to purchase digital currencies. However, it’s still limited. The fees are still rather high and there is not much variety in the digital currencies offered. By combining complementing businesses like mining, digital exchange, in-house manufacturing as well as other payment solutions, Cointed exploits the benefits of economies of scale and scope. That’s why they can afford to give their customers the lowest fees (compared to their only ATM provider competitors). Offering many ways to acquire and trade digital currencies is the way to go as it allows for better pricing, a more versatile service and more complete customer support. Nevertheless, more and more countries are making room for Bitcoin and other digital currency to shine. Despite some of the issues Bitcoin ATMs are the quickest most convenient way for buying and selling digital currency.